This book is for anyone who loves to garden and wants to invite a child to join in a delicious celebration of the fullness of life. Crisp cabbages, crunchy carrots, radiant radishes.... 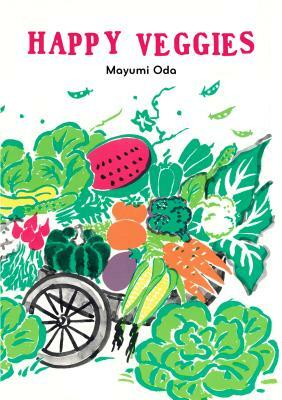 Vibrant illustrations of vegetables in the garden by legendary Japanese artist Mayumi Oda will inspire children to see the garden as a life-giving place where they can touch the Earth and see how Nature loves and feeds them. Starting with green and purple asparagus in the Spring, the book moves joyfully through the seasons, showing how hot and cold weather, sunshine and rain all combine to bring about a happy harvest. Known to many as the "Matisse of Japan," Mayumi Oda is celebrated for her exuberant printmaking and painting, especially for her work with female goddess imagery. Born to a Buddhist family in Japan in 1941, Mayumi graduated from Tokyo University of Fine Arts and Pratt Institute in New York. From 1969 to the present, Mayumi has exhibited over 50 one-woman shows throughout the world. Her artwork is also part of the permanent collections of the Museum of Modern Art (New York, NY), The Museum of Fine Arts (Boston, MA), Yale University Art Gallery (New Haven, CT), the Library of Congress (Washington, DC), and many others. In addition to her work as an artist, Mayumi has spent many years of her life as a global activist participating in anti-nuclear campaigns worldwide. In 2000, she started Ginger Hill, a farm and a retreat center on the Big Island of Hawaii. Now in her eighties, Mayumi lives with her family at Ginger Hill Farm and travels worldwide, teaching workshops in creativity and self-realization.